I live for my weekends. Spent an awesome day at the beach yesterday. It’s not often I get to enjoy a lazy day at the beach. My trips to the beach are usually to compete in open water swim races. Was nice to finally do a lazy summer beach day. Headed out all the way to Onjuku Beach – the far side of Chiba. Totally worth the 30buks and 90min train ride to get there. From Tokyo station, you can get the express train “Wakashio” and ride the train in air-conditioned, reclining seat comfort. Note: the train departs from Platform 1 at Tokyo station. There are TWO platform 1’s as we discovered the hard way as we stood waiting at the wrong platform and had to sprint through Tokyo station, the whole 500m to the other platform 1 to make our train. We literally got on the right train on the right platform in the nick.of.time. *You will want the Keiyo line, platform 1 and not the Chuo line platform 1. Onjuku Beach is one of the best leisure beaches I’ve been to. Way better than the Shonan beaches. The water was beautiful and clean and clear. 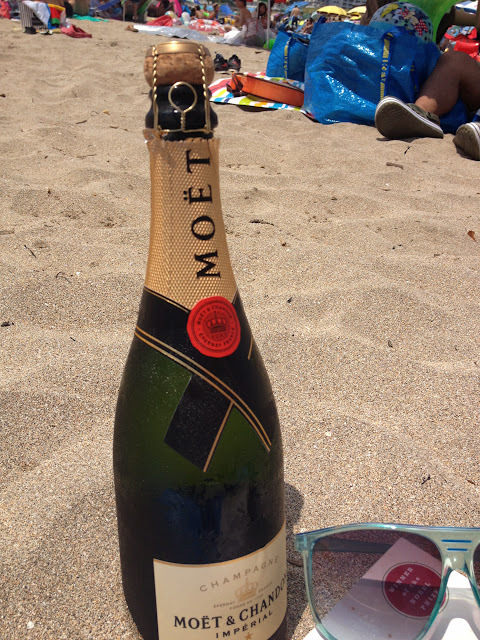 We parked ourselves on the sand for 5 hours enjoying the sun, surf and champagne (BYO champagne). 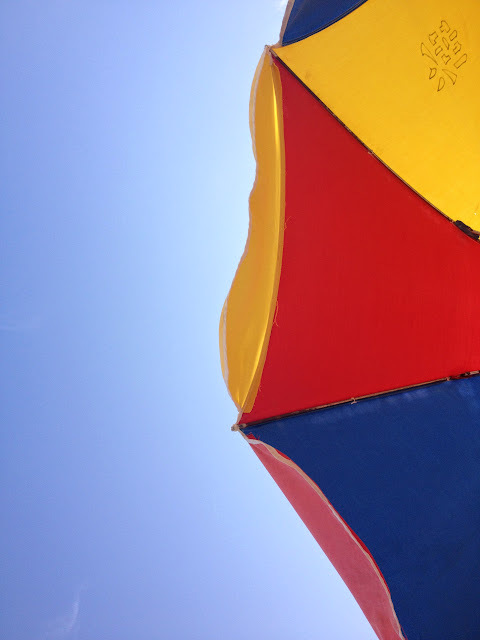 We rented a beach umbrella for the day. The sales assistant not only carries the umbrella to your beach spot, but even digs a hole in the sand and sets up the umbrella for you. At the end of the day, you just leave the umbrella and they’ll pick it up at the end of the day. Bless, Japan. And the beach has beach shacks which sell food and more importantly, beer. 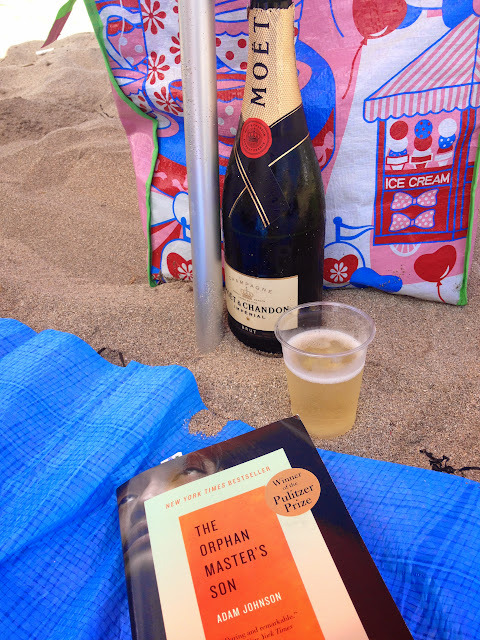 Beer, books, the beach. Bliss. And just when you thought the day couldn’t get better, the day was topped off with an onsen. There’s an onsen right by the beach. The water was amazing. It was a dark brown colour (the colour of coke)…it was like a bathtub of coca cola. It made your skin feel amazing.